2 Delicious Dinners Ready in 30 Minutes or Less! A plant-based diet rich in vegetables, fruits, grains, legumes, nuts, and seeds offers a myriad of health benefits. In particular, it can reduce your risk for chronic diseases such as heart disease, Type 2 diabetes, and even certain cancers. Many national and international healthcare providers caution that a high intake of red and processed meat is associated with an elevated risk of death from heart disease, diabetes, and other illnesses. Going meatless for one or two meals a week is a great way to start reaping the benefits of a plant-based diet. But, how to start? Check out this multicultural array of plant-based dishes, packed with legumes, vegetables, nuts, and the most important ingredient - tastiness! Are you ready to incorporate plant power into your meals? 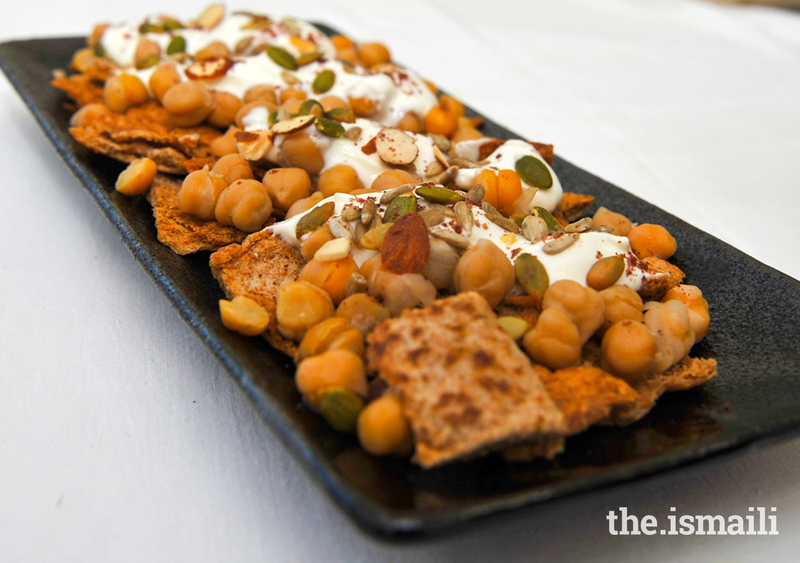 This Syrian Chickpea Fatteh salad is made of crispy, toasted pita bread drizzled in a garlic-yoghurt sauce and garnished with tender chickpeas and roasted sunflower seeds. Though salads are often considered light, this one packs enough protein to make for a satisfying starter or snack. A popular Iranian noodle soup, Ash Reshteh is packed with beans, lentils, and leafy greens, making it chock-full of fibre and protein. Iranians enjoy this soup all year round, though it is more commonly eaten during the time of Navroz (New Year, celebrated in spring), as the noodles symbolize good fortune for the coming year. Savour the taste of spring this week by dishing it up as one of your meals! A classic South Asian street food, Pav Bhaji consists of a medley of colourful vegetables infused with aromatic spices. Serve with whole grain bread instead of the traditional pav to enjoy a tasty, heart-healthy meal right in the comfort of your home. Seconds, anyone? 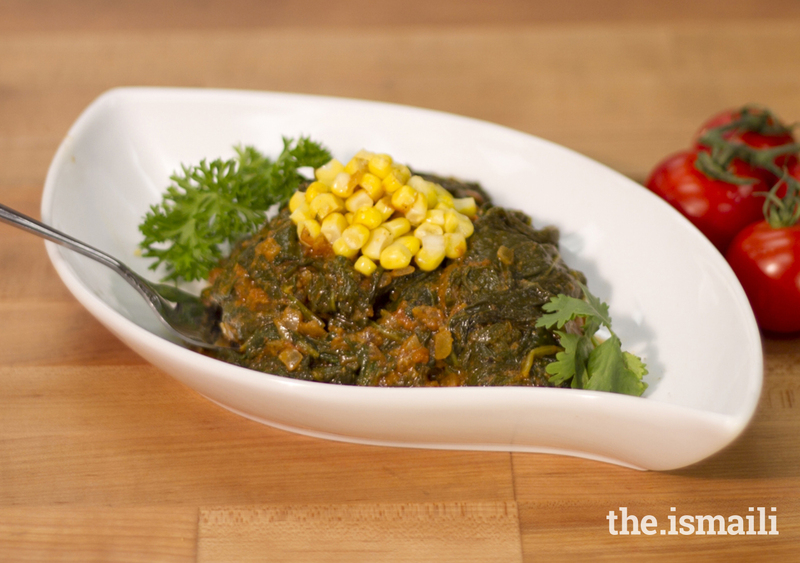 This Spinach Curry with Corn recipe delivers your share of greens without you even knowing it! The sweetness of the corn and the spices balances out the taste of spinach – which some may be wary of – making it a delicious, aromatic curry. 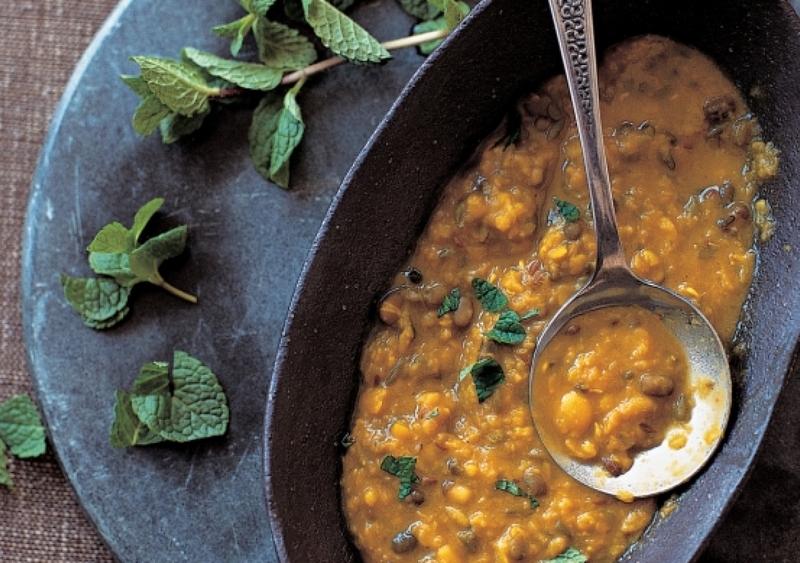 Complement this curry with whole-wheat bread or chapati for a complete, satisfying meal. With only 75 calories per serving, you can even enjoy a second helping! This pasta dish is not only delicious, but it's also quick to make if you're on a time crunch. Oriental Vegetable Pasta is a colourful mix of tender pasta and crunchy vegetables, topped with parmesan shavings. 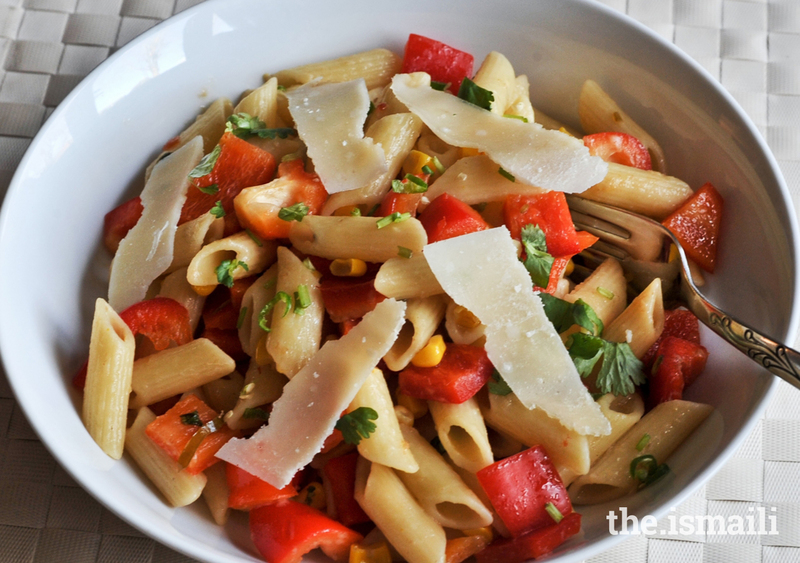 Consider turning it up a notch by using wholewheat pasta to boost your fibre intake. Add this family-friendly meal to your next dinner menu! Craving the authentic flavour of South Asia? Try a helping of this fibre-rich, flavour-packed Mixed Dhal, served over a bed of basmati rice or paired with your choice of salad. Requiring only simple prep work, this recipe allows you to sit back, relax, and let the stove do most of the work! Some okra recipes tend to use excessive oil, but not this one! 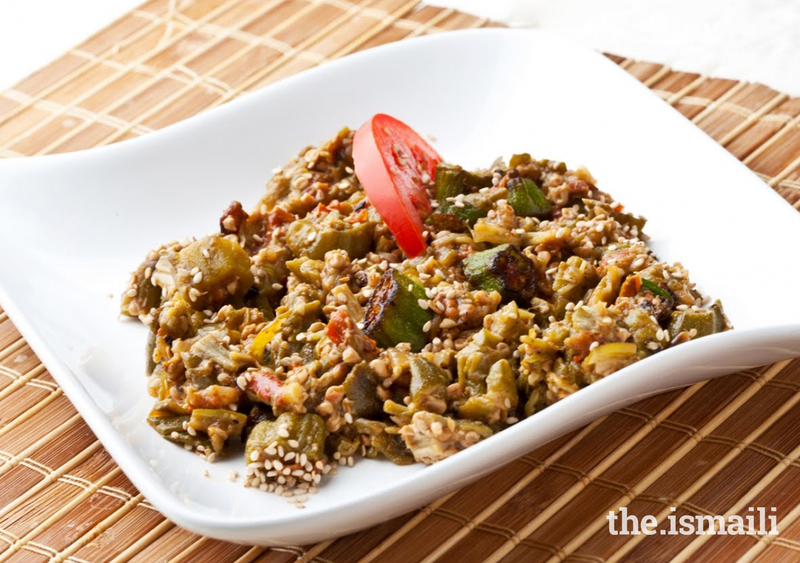 Enjoy a reduced-fat version of fibre-rich Okra with Sesame Seeds, spiced to your liking. 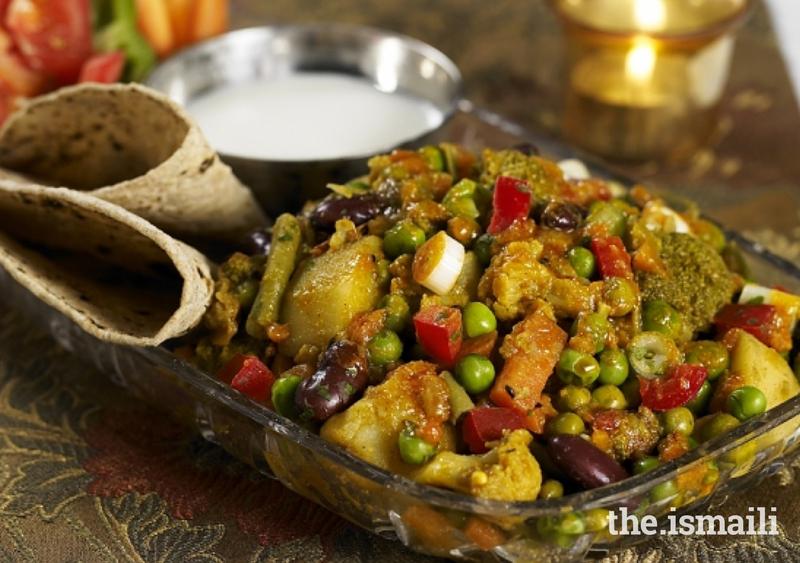 Serve it with warm chapatti for a hearty, delicious meal that's ready in under 30 minutes! Need a meatless meal for when you're on the go? Try a Spicy Moong Burrito, a fusion wrap that blends South American and South Asian cuisines. 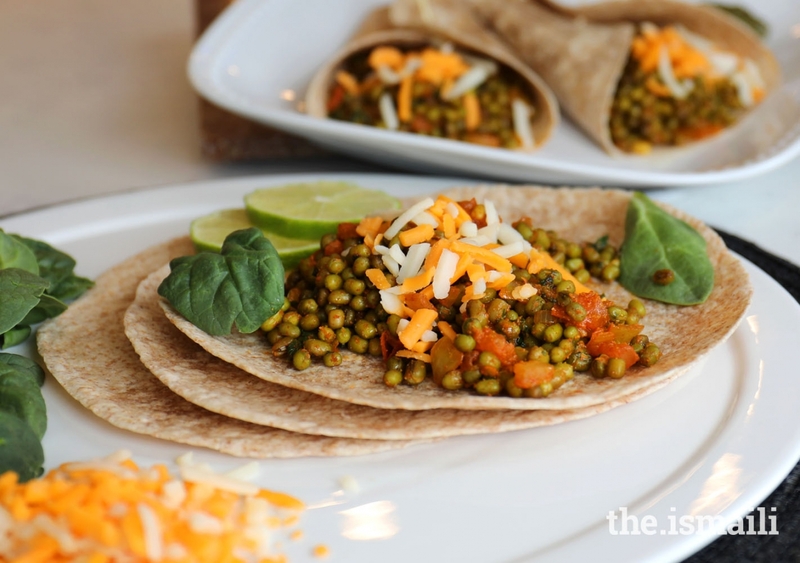 Stuffed with spicy moong beans and a sprinkle of cheese, this meatless option packs in the protein and promises to be tasty. Customize your burrito with your favorite vegetables including bell peppers, corn, or carrots for extra crunch! 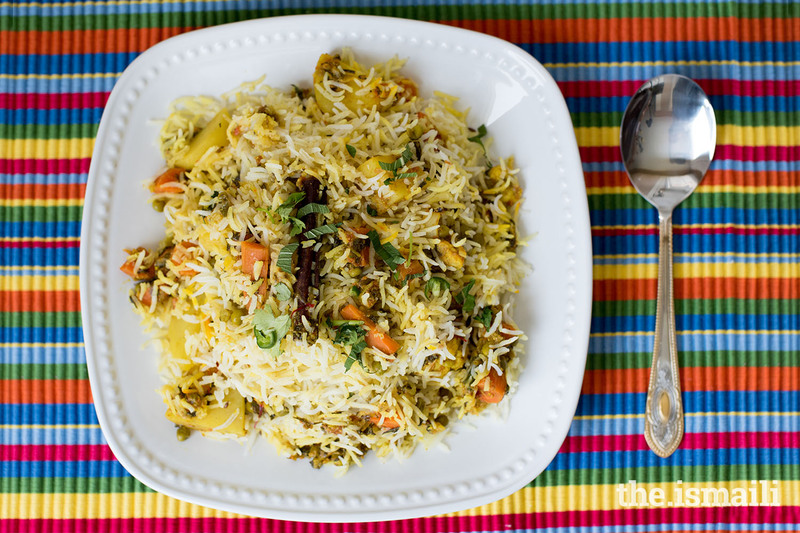 Craving an aromatic and fragrant plate of biryani? This elegant Vegetarian Biryani is a classic South Asian dish cooked with all your favourite vegetables and traditional spices, including cinnamon, cloves, cumin and cardamom. A pot of this steaming vegetable biryani makes for a perfect festive meal, enjoyed in moderation. Wondering how oats can be part of a meal? Oats taste just as delicious in a savory dish as they do in your breakfast and are also great substitutes for rice. The additional fibre content will also keep you full for longer. 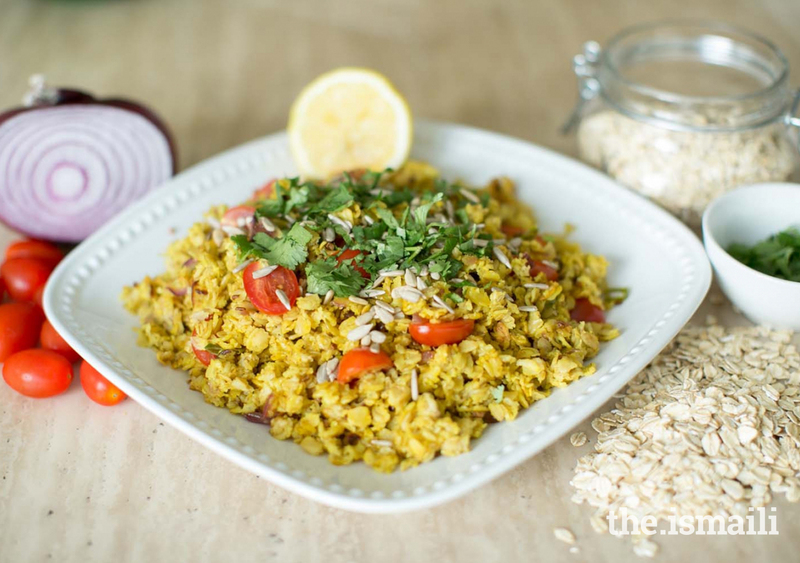 Enjoy a delightful twist to an old favourite with this Oats Poha recipe. 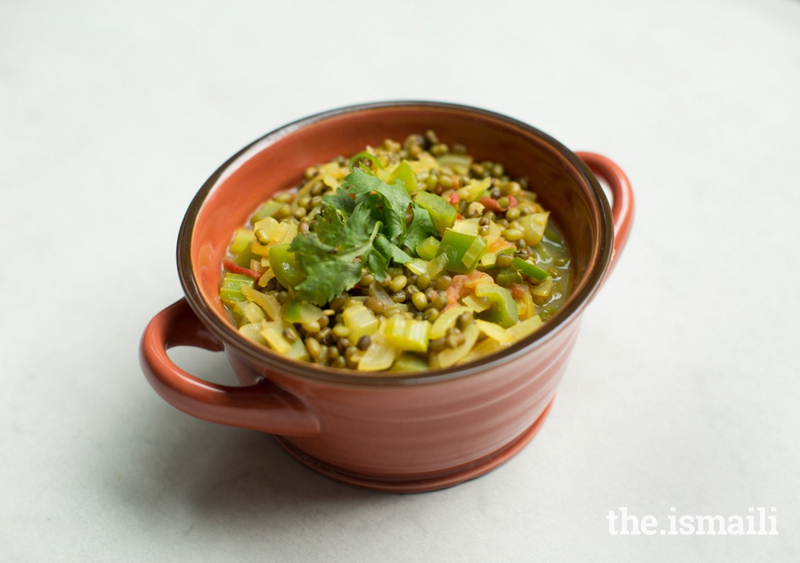 Don’t wait for the next chilly evening to serve this Moong and Vegetable soup! 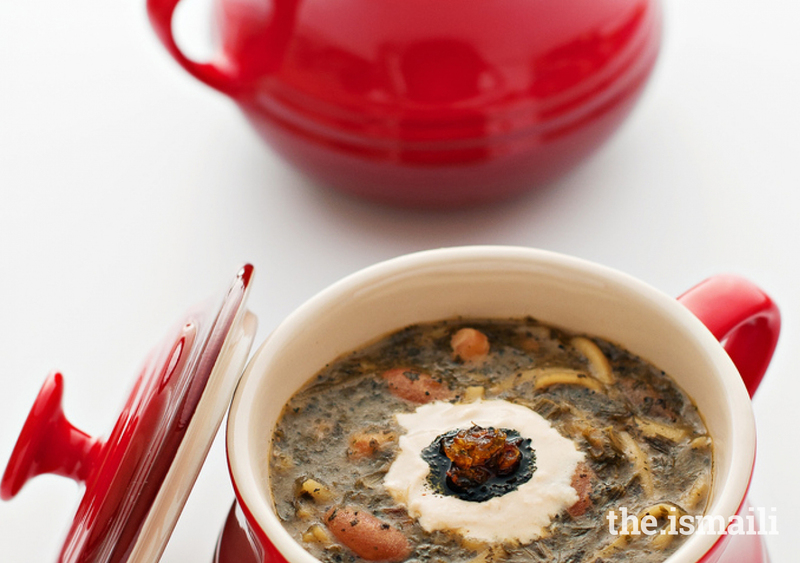 Brimming with sautéed vegetables, tender moong beans, and savoury broth, a bowl of this soup makes for a nourishing and hearty meal. Can you already hear it simmering on the stove? 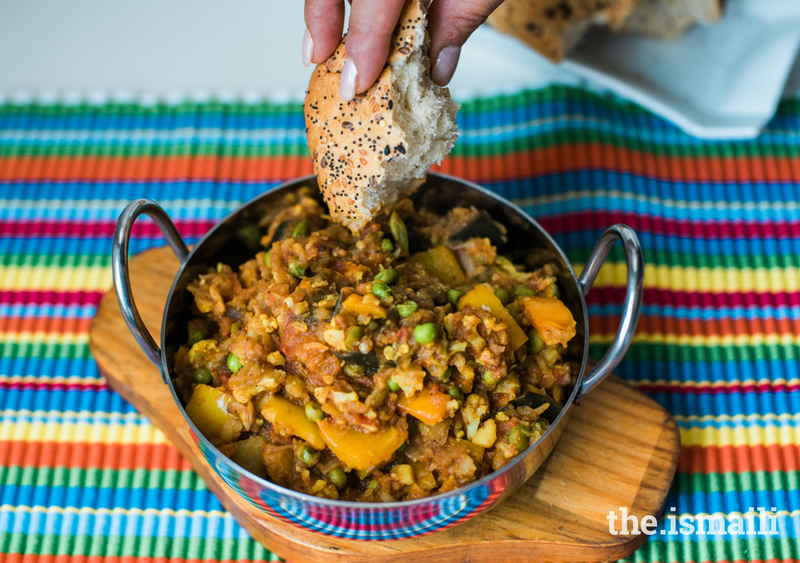 This colorful Mixed Vegetable Curry is a quick recipe to help you meet your daily vegetable intake and have a fresh, homemade meal. Try this medley of veggies, traditional spices, and chopped green chilies, garnished with coriander. Pair with fresh, warm roti for added fibre! Need a meatless appetizer for your next party? 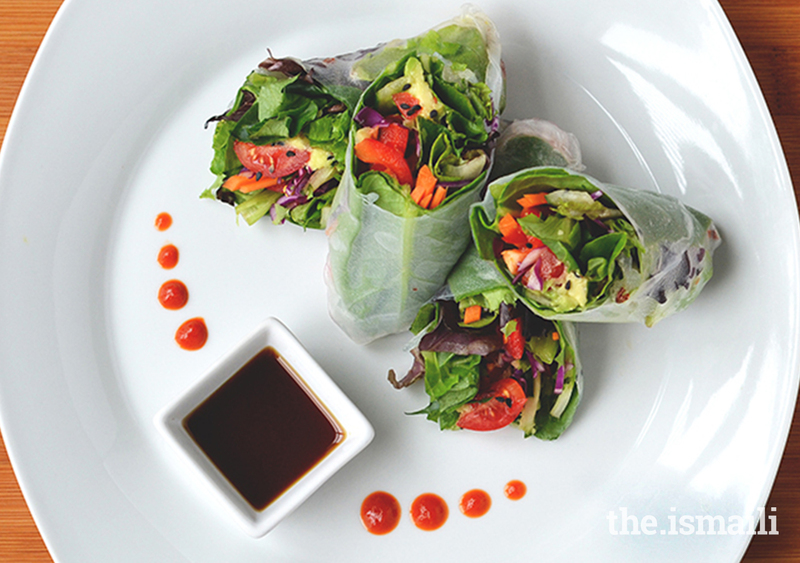 Enjoy these Spicy Summer Rolls, customized with your favourite veggies! The rolls are encased in rice paper and filled with a rainbow of vegetables, making them delicious, crunchy, and rich in nutrients. What better way to add colour to your plate? Saher Lalani enjoys trying new foods, reinventing her favorite dishes, and learning about food in general. In the past, she worked with The Ismaili Nutrition Centre as project manager and is currently working as an articles support member. Noor Pirani is a student at Wellesley College studying Biology and Spanish. She is passionate about science education, health, and nutrition, and works with The Ismaili Nutrition Centre as a content and social media writer.